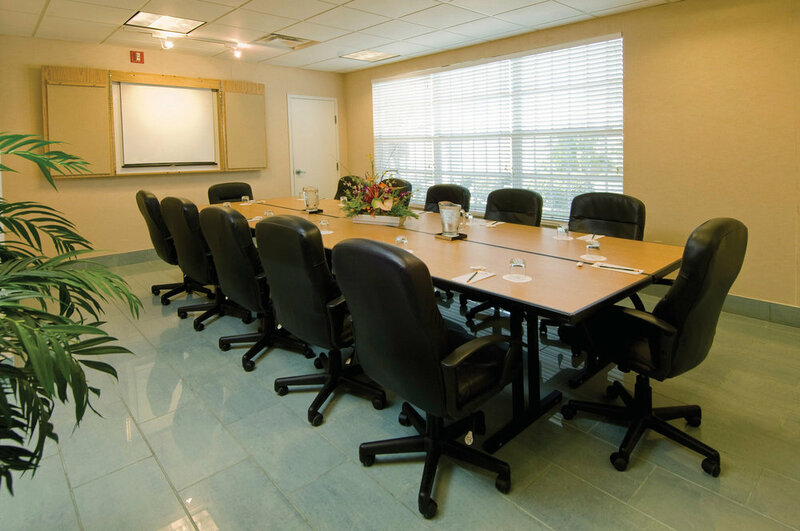 Searching for Sarasota conference space? Look no further than Sandcastle Resort. Contact us today to learn more about our multiple meeting room options. Whether your group is an intimate gathering of 10 people, or a large event of 160 people, consider Sarasota’s Sandcastle Resort at Lido Beach to be your destination of choice. Our full service hotel is run by an experienced, attentive staff. We’re uniquely qualified in coordinating successful banquets, receptions, theme parties and audio-visual presentations. Considered by many to be the cultural center of Florida, Sarasota offers guests many recreational activities. Our serene setting, directly on the white sands and tranquil waters of the Gulf of Mexico, features 600’ of pristine beach. Our two ground floor meeting rooms, The Lido and The Sarasota, can accommodate banquets up to 160 persons and meetings up to 225. Our professional conference planners and meeting equipment are available at no extra charge, and wireless internet is also available throughout the property. Contact us today at info@sandcastlelidobeach.com about hosting your next meeting or social event at The Sandcastle Resort at Lido Beach. Offer is based on availability and blackout dates may apply. Based on 10 rooms or more for two or more nights. Valid now through January 14, 2019. Does not apply to groups already booked. Minimum of $25,000 on master rooms account required. Must book by December 31, 2018 for meetings consumed by June 30, 2019. A maximum of one $500 American Express Gift Card will be awarded per booking. A limited number of rooms are available for this promotion. Offer cannot be combined with any other promotions. Blackout dates may apply. Advance reservations required. Other restrictions apply. Not applicable for confirmed groups. Applies to new confirmed group meetings only. In a fast-paced world, slow down and plan a meeting at a Resort where the days seem longer, the people are friendlier, and your meetings are less complicated, yet productive. *Book a meeting between now and December 31, 2018 to receive rates starting as low as $109.00 per night, based on availability, certain restrictions and blackout dates apply. Reunite at a Resort that will remind the entire family of what it means to capture precious moments in time; it all starts right here at Sarasota’s most moderately priced, full service, beachfront Resort, the Sandcastle Resort at Lido Beach. *Based on availability, certain restrictions and blackout dates may apply.